To keep informed our clients about new collections and components, we present our items and articles every season in the most important industry fairs. 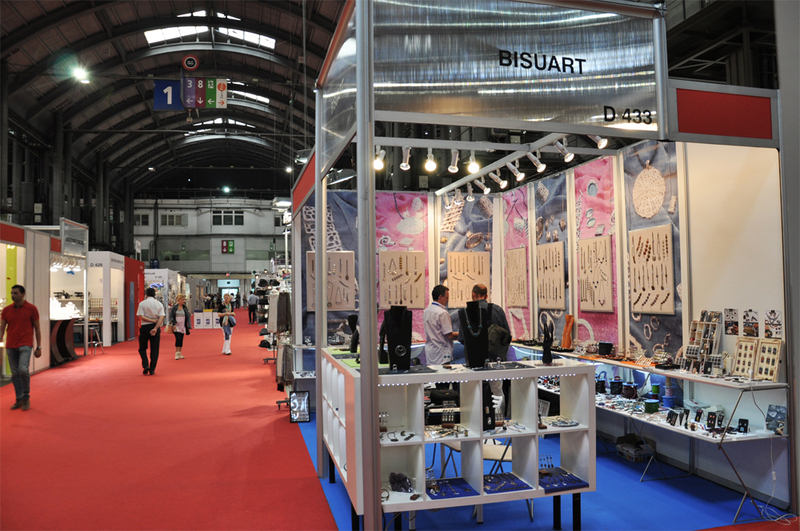 Nationally, we attend to Bisutex in Madrid, Expohogar in Barcelona and sometimes Sebime in Menorca. Internationally, we attend to Eclat de Mode in Paris. During September editions we present our collections for autumn/winter and during January editions we present the new items for spring/summer season.